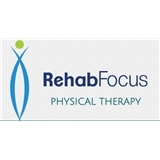 Rehab Focus Physical Therapy (Elmhurst) - Book Appointment Online! Rehab Focus Physical Therapy PC is the name to remember when you find yourself in need of a reliable Queens, NY, physical therapist. Whether you’re recuperating from an injury, suffering from a degenerative health condition, or feeling stressed by work, our highly trained staff may just hold the key to living pain-free once again. Dedicated to Client Satisfaction Our personnel believe that everyone deserves to enjoy a life with less pain. We’re committed to patient care, and we employ modern methods and equipment in our quest to help clients find the relief they’re seeking. We also pay attention to every detail in an attempt to improve the level of services we deliver, and we offer flexible hours that allow our appointments to fit into even the most packed calendar. Referral script is needed to be treated. Please also include Member ID number in the notes section when booking. Amazing.... I think I can trust her because she was very reliable, listen to me carefully, gave me best possible therapy as my first. For sure I'm going to recommend her my whole family & friends!